Greenall’s has launched a new look and recipe for its latest hand-crafted Greenall’s Sloe Gin expression. With flavoured gins increasing in popularity, Greenall’s is launching its new take on the original flavoured gin – sloe gin – with a new recipe and a new look bottle, in line with the brand’s recent repackaging, available to operators in the on-trade and off-trade now. G&J Distillers master distiller, Joanne Moore, has selected the traditional flavour of sloe berries using Greenall’s eight botanicals, with their rich juniper notes and mature citrus and spice, combining with the sloes to create a warming drink, perfect for autumn and winter drinking and bottled at 26% ABV. 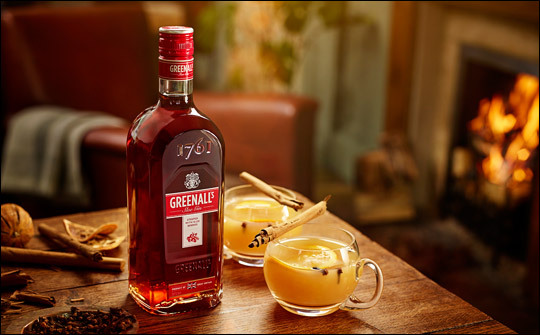 The premium addition to the Greenall’s range, which will be available in the UK in a 70cl format and to markets worldwide from November 2017, offers consumers a seasonal expression bursting with flavour and the heritage.